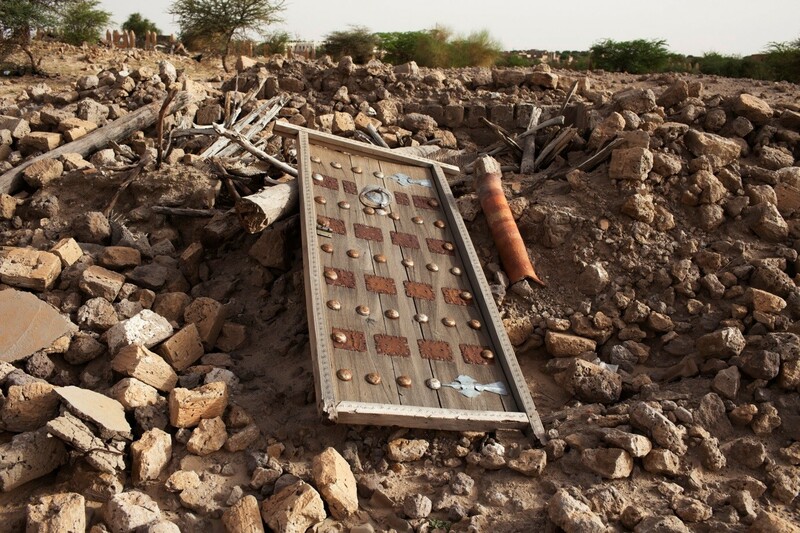 The rubble left from an ancient mausoleum destroyed by Islamist militants in Timbuktu. This case builds on the good work already done by the international community, which has been proactive in condemning and warning those who are destroying cultural property in Iraq, Syria and beyond. In May 2015, the UN General Assembly unanimously adopted a resolution on saving Iraq’s cultural heritage, which indicated that the actions ISIS has been taking against cultural property in the region may amount to war crimes. 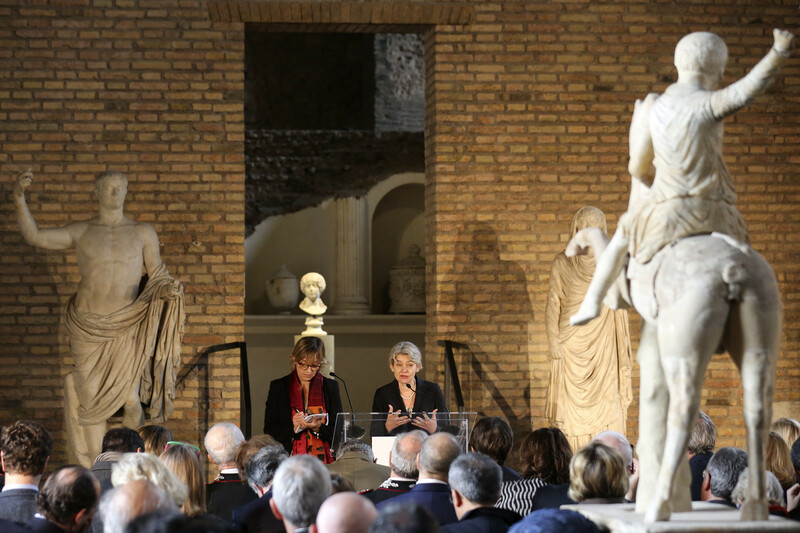 Irina Bokova at the presentation of the Unite for Heritage operation, a UN-backed task force to protect monuments and cultural sites. According to a Wall Street Journal report, looting represents the second largest income for ISIS, after the sale of oil. In September 2015, US troops gathered evidence that ISIS had established a Natural Resources department, which “regulated” the sale of such items. The US State Department claimed that while the total amount is unknown, ISIS has probably earned several millions of dollars from the sale of antiquities since mid-2014. The Iraqi ambassador to the UN, Mohamed Ali Alhakim, also noted that ISIS has earned “as much as $100 million annually from antiquities trading”. This statement was echoed by the Russian Ambassador to the UN, who claimed that “the profit derived by the Islamists from the illicit trade in antiquities and archaeological treasures is estimated at between $150 million and $200 million a year”. 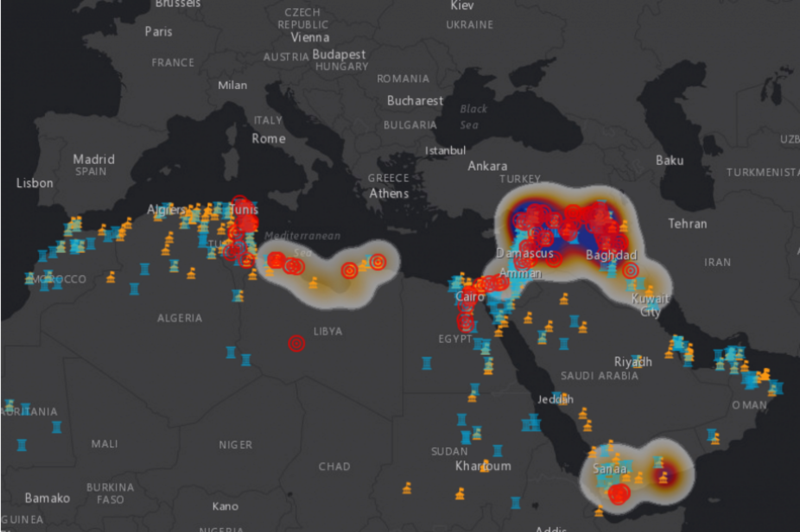 This map shows where some of the world’s cultural heritage sites are at risk from terrorists. While the application of international and domestic criminal laws is highly welcomed, it is not enough to stop the trafficking of blood antiquities. In the spirit of the Sustainable Development Goals, art collectors, museums, archaeologists, private entities and national governments should work together in a public-private initiative to prevent such items from entering the legal realm of commerce.